(BPT) - Ice, rain, snow and freezing temperatures can wreak havoc on your car. To keep your family safe on the slippery roads this winter, it's important to take a few simple winterization steps. Switch engine oil: Oil lubricates the engine so it can function properly, but not all automobile oil is the same. If you live in a cold climate, consider switching to a thinner, less viscous oil. For example, a 10W-30 might be ideal for hot summer weather, but a thicker 5W-30 is better for when temperatures dip below freezing. 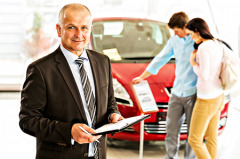 Ask your auto mechanic what is recommended and refer to the manufacturer's manual for more insight. Maintain a car wash routine: Due to the presence of ice, salt and sand on the roads, washing your vehicle in the winter is even more important than the summer. Getting a car wash and a fresh coat of wax before the temperature begins to drop can be your first line of defense against winter elements. 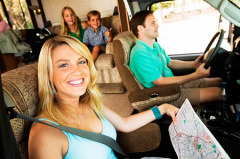 Vehicular corrosion occurs most quickly when the temperature rises and falls below freezing. 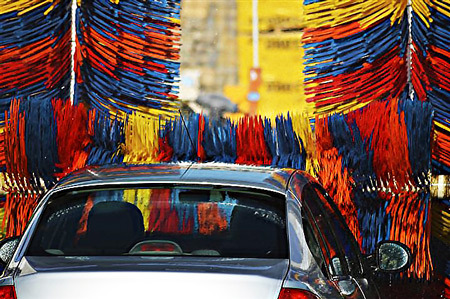 The International Carwash Association recommends finding a car wash that is part of the WaterSavers program. There are more than 1,500 environmentally friendly car washes worldwide enrolled in the program that meet water quality and usage standards. These car washes use 40 gallons (151.5 liters) or less of fresh water per car. Find a participating car wash near you by visiting www.washwithwatersavers.com. 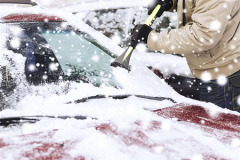 Check the battery: Cold weather can take a toll on your car’s battery. Before you get stranded, give your battery a once-over to make sure it's in tip-top shape. Check the cables, terminals and fluid and look for anything abnormal. Some battery retailers will conduct a complementary car battery assessment if you'd prefer an expert analysis. Update engine coolant: Just because it's chilly doesn't mean your engine can't overheat. To protect your engine against corrosion and to help ensure it doesn't overheat, ask your car technician to change to a coolant with ethylene glycol which has antifreeze properties. While replacing coolants, ask the technician to make sure all fluids are topped off, including window washer solution. Get a grip on tire safety: If you live in an area where winter means driving in snow and ice, it's critical to check your tires to keep you and your passengers safe. Each tire should have an adequate amount of tread to properly grip the road. You can easily see if new tires are needed with the penny test — hold a penny head down in the center tread. If you see the top of Lincoln's head, you have less than 2/32-inch tread and it's time for new tires. 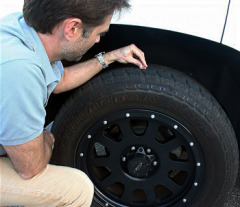 Also be sure to your tires are properly inflated to ensure optimum handling, safety, and fuel efficiency. (NewsUSA) - Google has been making news in recent months for its work in a ground-breaking area: driverless automobile technology. A prototype of Google's new self-driving car -- a two-passenger electric vehicle with buttons to turn the vehicle on and off, but no steering wheel, accelerator pedal or brake pedal -- was unveiled in May. Without a driver at the wheel, the car is instead guided by a light detection and ranging (LIDAR) rotating sensor on the vehicle's roof that scan the vehicle's surroundings to determine its driving route as well as to identify such obstacles as pedestrians, bicyclists and other cars. While Google is widely considered a front-runner in the development of such advanced automation technology, the major automakers are also getting into the race. Albeit at a more conservative pace, they're introducing automated features that perform specific tasks -- such as adaptive cruise control, lane departure warning and collision-avoidance braking -- to their new car models. According to a recent report by Lux Research, cars with these so-called "Level 2" features are expected to account for 92 percent of a worldwide $87 billion-per-year autonomous car market by 2030. Only 8 percent of the market will go to "Level 3" cars, which would be primarily driven autonomously, but would allow drivers to regain control of the vehicle in an emergency. In addition, the research firm doesn't expect any fully automated vehicles on the road by 2030. "We consider that ultimate level, Level 4, to be full autonomy, where you just get in and you don't interact with the car at all," explained Cosmin Laslau, lead analyst at Lux Research. "And we don't think that's coming by 2030. The biggest opportunity that we see will be actually from the Level 2 features, which are the more conventional advances that we're already starting to see come onto the market from higher-end developers." Hermann Winner, director and professor of automotive engineering at Germany's Technische Universität Darmstadt, agreed. "We will start with a partially automated car, then a highly automated one," he said, adding that he doesn't expect a completely autonomous car -- one with no specific limitations with respect to traffic environment or driving speed -- on the market for the next 40 years. "The big challenge to total automation is getting safety approval. Even if you assume the system is ready by 2020, approval is going to be problematic." Winner is scheduled to address the challenges facing the development of the driverless car during the panel session "IT Meets the Automobile: Interactive Advanced Vehicle Technologies and Self-Driving Cars" at the ASME Advanced Design and Manufacturing Impact Forum in Buffalo, New York. Visit www.asme.org for more information.